Oh my god... Oh my god... Oh my god. Really like this font. Raw and playful. reminds me of School days marker pens of my favourite skate wheels on school bag. @Rebecca2323 It's FontCreator. I'm usually do some fonts to be created with FontForge. paintblack editions 2011. Version : Free for personal use. 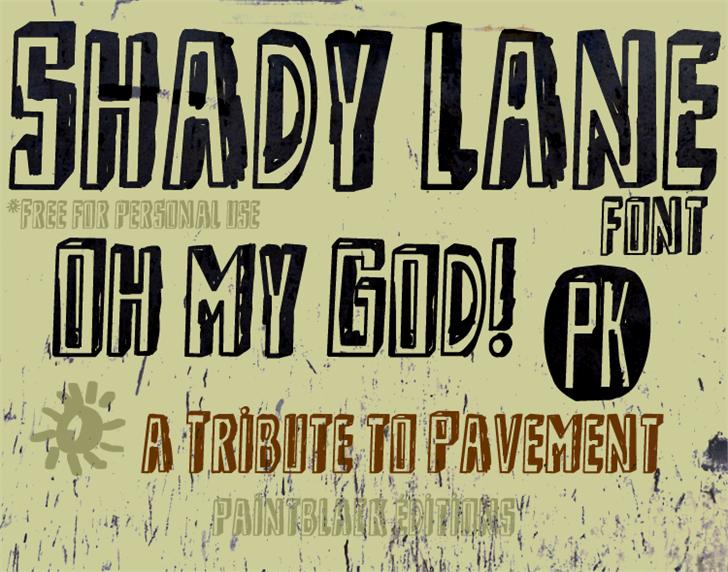 Shady Lane Font is a trademark of paintblack.